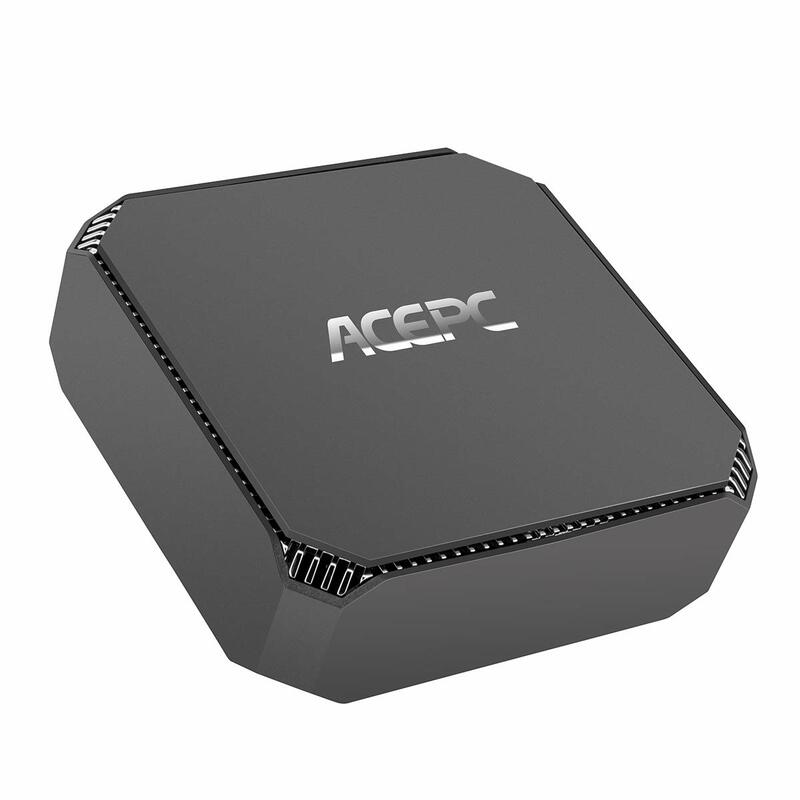 ACEPC AK2 and GK2 finally come, and they use same case but different CPUs; both are available at Amazon now. We know from ACEPC that they have many similar models in name: AK1, AK2, GK1, GK2, etc. Here 1 means module 1, and 2 mean module 2. A means Apollo Lake and G means Gemini Lake. So, AK1 and GK1 are same in shape, but different CPUs. this is true to AK2 and GK2. Intel launched its Gemini Lake line of low-power Celeron and Pentium processors late last year, but so far most of the Gemini Lake-powered computers we’ve seen have been desktops rather than notebooks, tablets or convertibles. The new Gemini Lake SoCs feature improved CPU cores over the previous generation, an enhanced media decoding/encoding engine, and a new display pipeline. Intel promises to offer higher performance than predecessors while consuming about 6W or 10W, depending on the application. The higher-end Gemini Lake SKUs will be sold under the Pentium Silver brand, whereas the entry-level models will carry the Celeron name. Check for more at ACEPC official website.